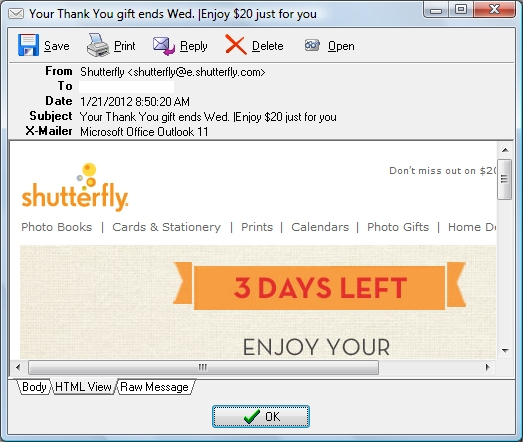 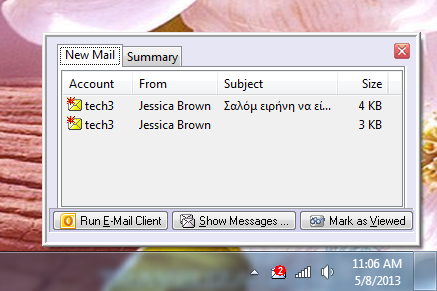 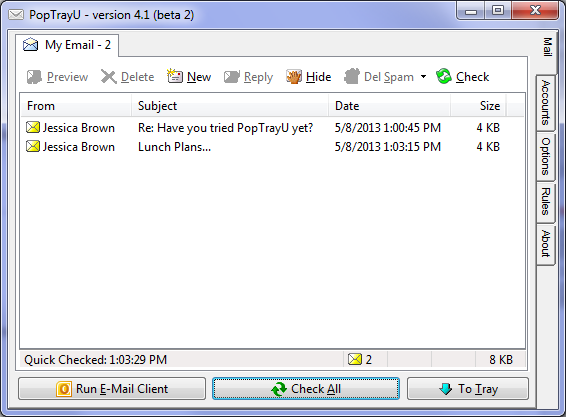 PopTrayU sits in your windows tray and monitors your email accounts for new messages. 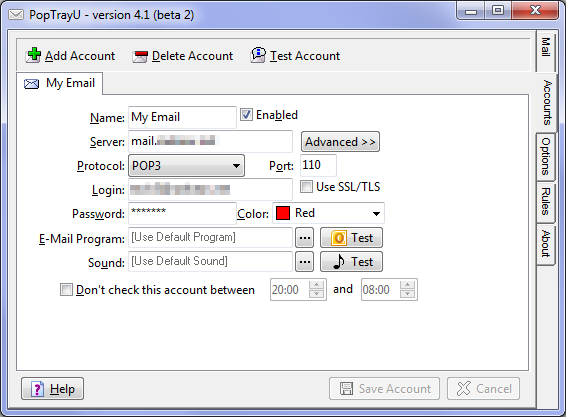 Highly configurable. 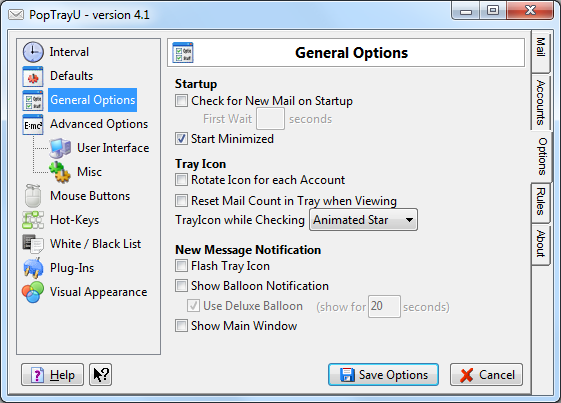 Builds upon the well loved email checker, PopTray 3.2 by Renier Crause, to add many new features and support for modern versions of Windows.